The buildings, structures, dioramas at MODEL TRAIN STRUCTURES are 3-Dimensional pieces of ART created and hand-crafted by North Carolina artist, D.A. Clayton. D.A.’s creations are EXCLUSIVE and ONE of a KIND. No two are alike. Prices are based upon the complexity and the time spent in the creation of each piece. These structures will certainly make a statement in your collection and are worthy to pass on to future generations. Each one is signed and dated. D.A. has been drawing, painting, and creating since childhood, and has been featured in magazines, newspapers, and has won several art awards. The work is extensive and ranges from portrait and still life canvas painting to Limited Edition Prints to 3-Dimensional miniatures and custom model dioramas. When asked, D.A. said, “ I create a theme, then I build upon that idea to make a structure that tells a story. It has to look and feel real to be believable; it has to have life and motion. "To do this, I spend a great deal of time on DETAILS. It takes more time for me to add the details than to do the actual construction." On this site, you will see more SOLD structures (CLICK HERE for SOLD) than FOR SALE because they sell quickly, and the process is never rushed. To see the structures for sale, click N SCALE or HO SCALE FOR SALE. All of the photos will enlarge when clicked. Be sure to bookmark the website and come back often to see the latest creations. 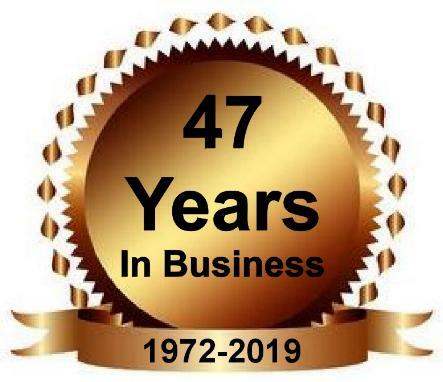 This year I celebrate 47 years in business. I take pride in my artwork and have always conducted my business with HONESTY and SOUTHERN HOSPITALITY. I look forward to adding one or more of my exclusive MODEL TRAIN STRUCTURES to your layout. The fastest and best way to contact me is through this Contact Form. I will answer your questions promptly. PLEASE MAKE SURE YOU TYPE YOUR EMAIL ADDRESS CORRECTLY. Also, re-type your email in the COMMENT area. If you have not heard from me within a few hours, (during business hours,) be sure to check your spam filter box, especially AOL users. I answer emails immediately. My computers are up and running 12 hours a day, except for Sunday mornings and holidays. © Copyright 2019 Model Train Structures. All Rights Reserved.